Memoirs and meditations: I will try to remember this next time my husband bugs me & donation to Red Cross for Japan. I will try to remember this next time my husband bugs me & donation to Red Cross for Japan. It is easy to love people far away. It is not always easy to love those close to us. to relieve the lonliness and pain of someone unloved in our own home. Donating $1 to Red Cross for every comment here. Gemma. I'm so happy to be connected. Thanks for your comment over at Mother Words. I look forward to being in touch! Beautifully said. Thanks for donating to Japan, you are awesome. beautiful gemma....!! i will link to you on my blog. 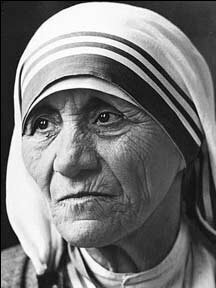 Mother Theresa! - our model for human love for the 21st century. What a fitting quote for our home today! Thank you! a timely reminder. thank you. Thanks you Gemma, we all need to remember this. I came via Rebecca. Thank you for doing this Gemma, it makes a difference. I was just going to come and say thank you for your comment and for being a long-time follower and fabulous friend of mine. So glad you are enjoying the scrapbook posts. I am enjoying going down memory lane too. How sweet of you to donate money like this, you are amazing! I have come from Rebecca's blog. So many good people doing good for people. Such a beautiful and poignant reminder of what's important in our daily lives. Thank you for your contribution to Japan! wow, I don't think I have ever seen that quote but think that often whenever there is something that gets people up and out for a cause. I just love this and had to comment again. Little Mother was never at a loss for words.